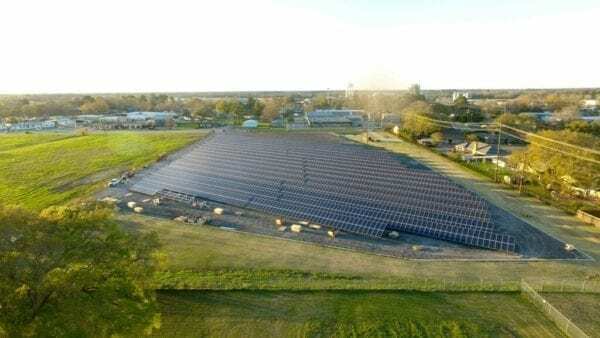 1.2MW Ground-Mounted PV array installed for a Photovoltaic Applied Research Laboratory. 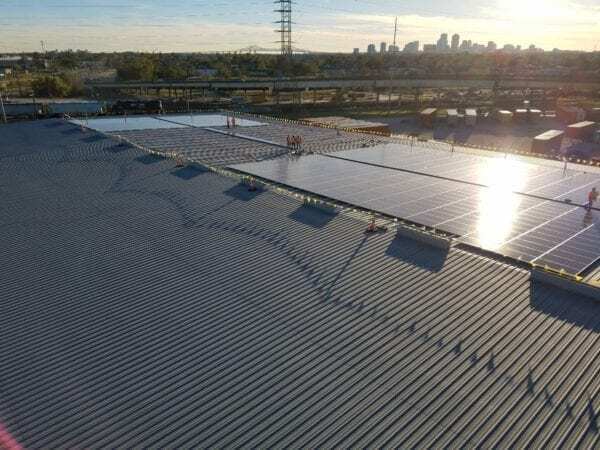 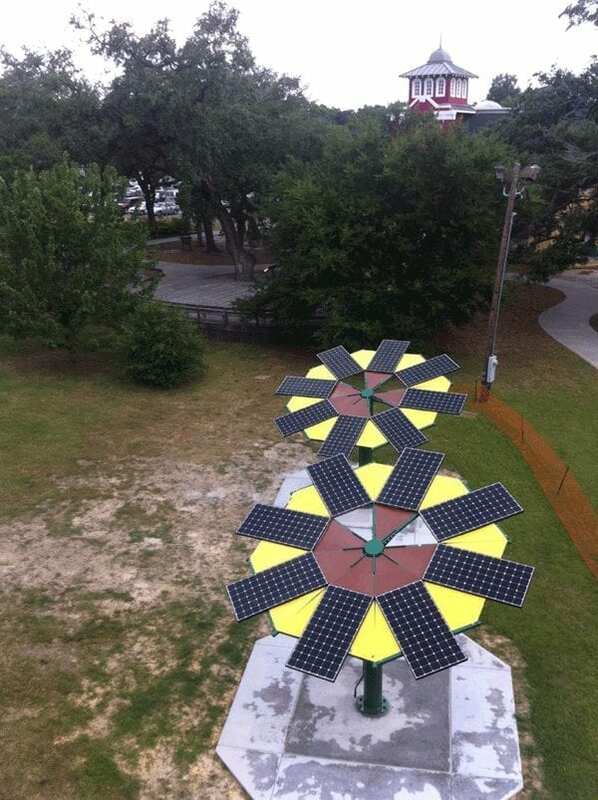 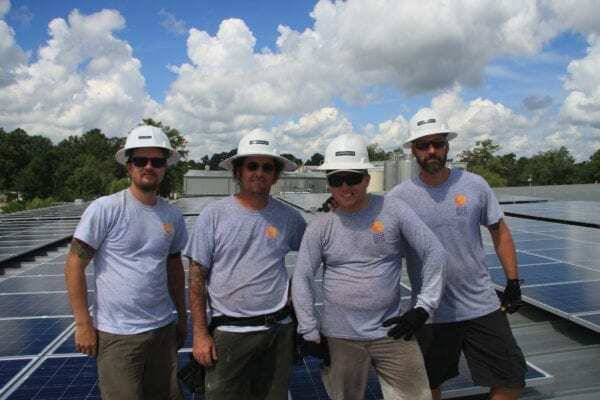 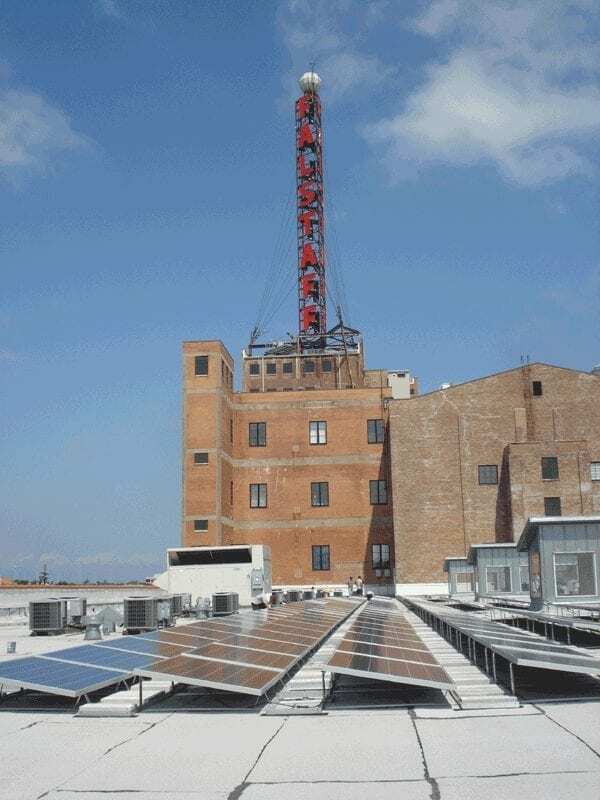 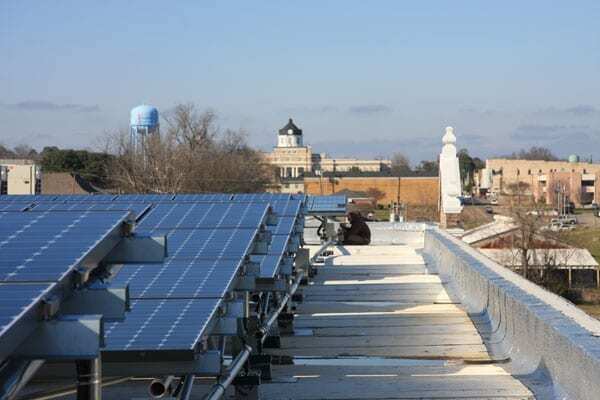 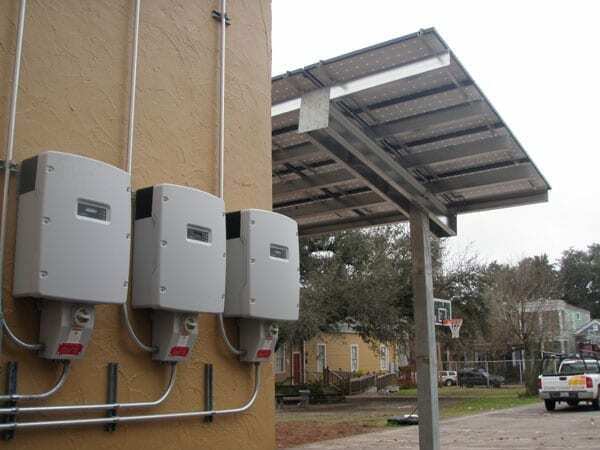 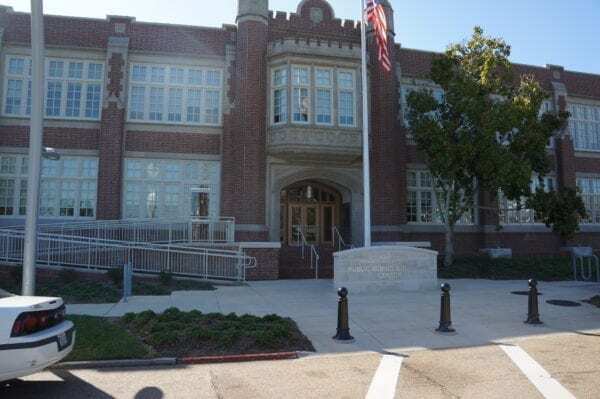 This 54kW solar panel array generates enough energy to power the famous Falstaff "weather ball"
This unique racking system and solar panel installation was tailored to power a renovation of a historic school building. 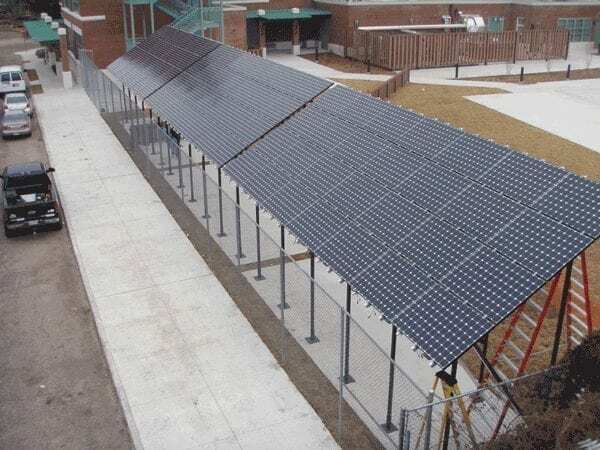 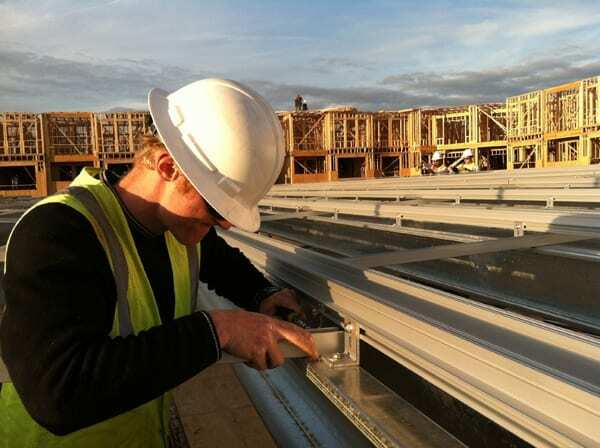 Fully ballasted solar panel racking system installed for the Veterans Administration at a satellite office building. 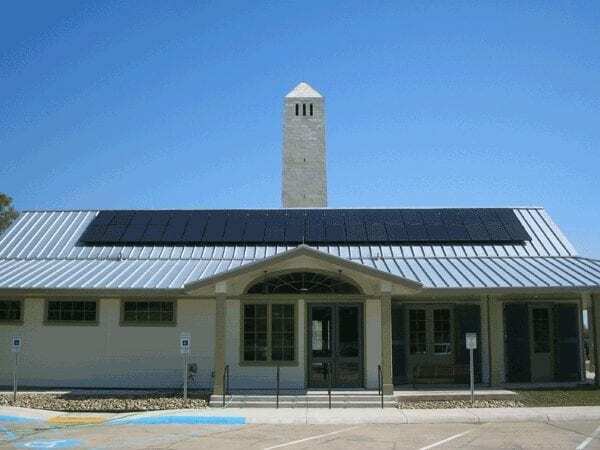 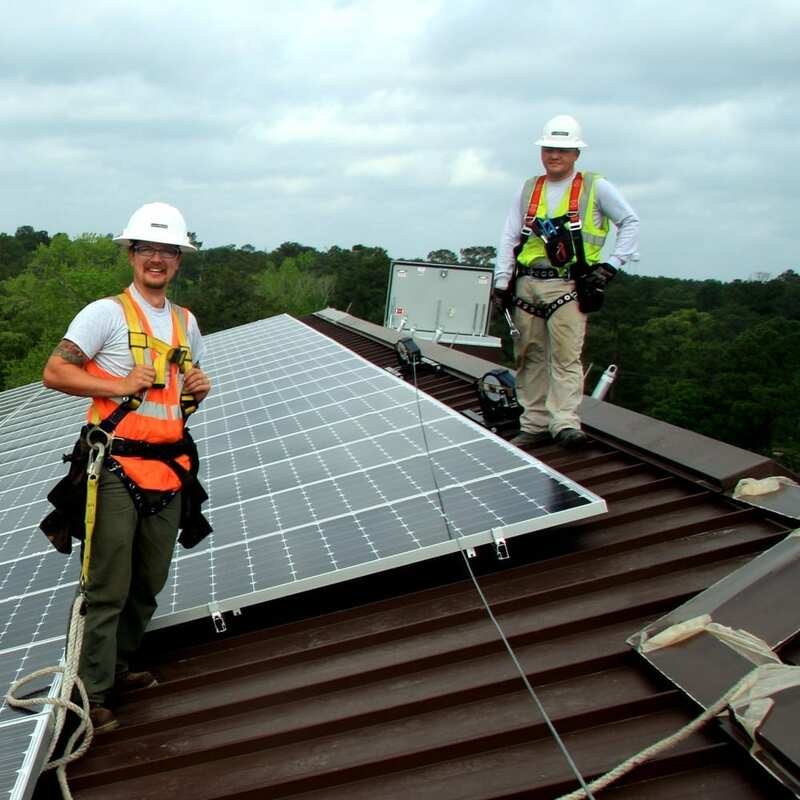 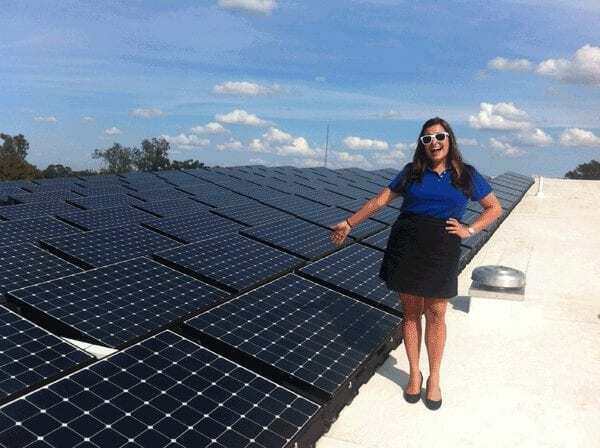 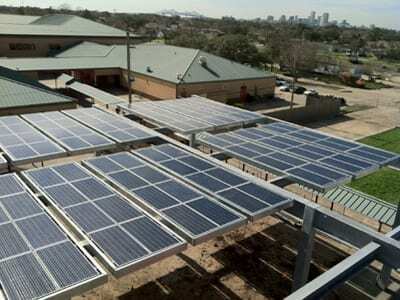 Over 250kW of PV capacity powers this US Army barracks. 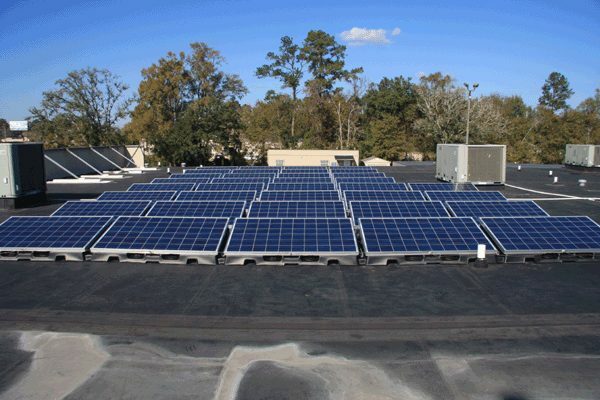 Libert Self Storage chose South Coast Solar to install a portfolio of over 1.2MW of PV at 7 different facilities.